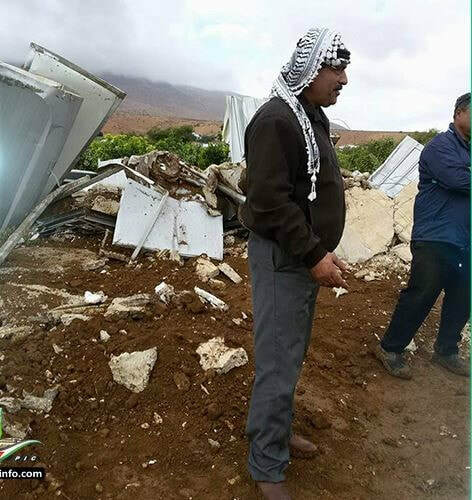 A Palestinian house was demolished on Wednesday morning in Froush Beit Dajan in the Jordan Valley, to the north of West Bank, under the pretext of being built without Israeli permit. 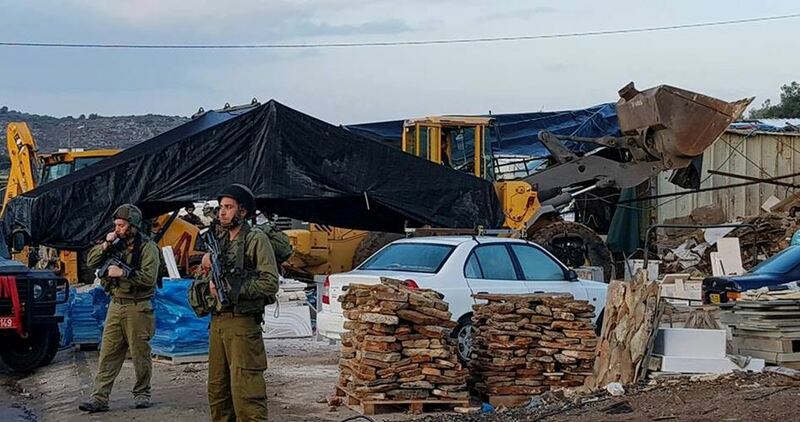 Head of the village council Tawfiq Mohamed told the PIC reporter that Israeli forces and Civil Administration employees broke into the town along with a military bulldozer before starting the demolition process. 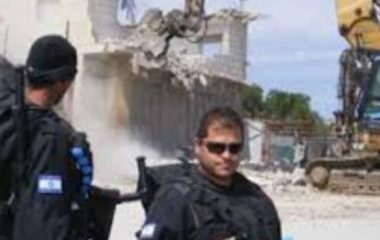 The Civil Administration officials claimed that the demolished house was built in the Israeli-controlled Area C without permit. Following the demolition process, nine family members were left homeless in the cold weather. 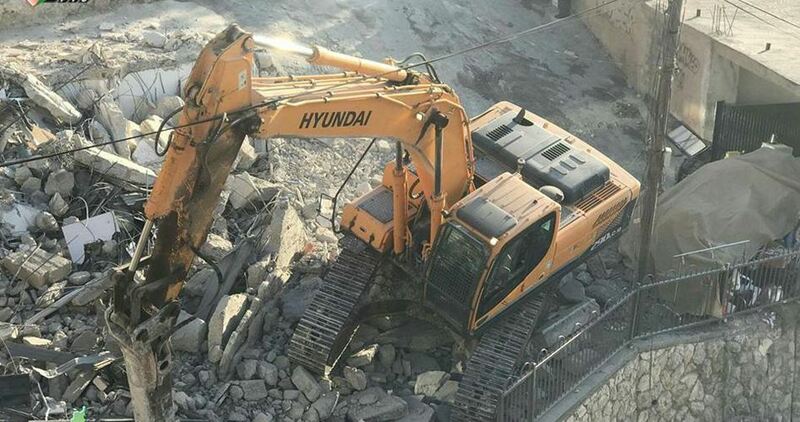 The Israeli occupation forces (IOF) on Wednesday demolished two Palestinian facilities in Khirbet al-Halawa in Masafer Yatta area to the south of al-Khalil. Anti-settlement activist Rateb al-Jabour said that an Israeli military bulldozer broke into Khirbet al-Halawa and demolished a residential room and a sheep barn. The Palestinian citizen Younis Abu Aram said that the IOF destroyed his room for the second time in two months leaving his family, as well as his sheep, in the open as winter approaches. The Israeli authorities on Tuesday demolished two Palestinian houses in Beer Hadaj village in the Negev in the southern 1948 occupied Palestine under the pretext that they are unlicensed. The Palestinian MK Talab Abu Arar described these demolitions as "retaliatory measures" waged by Israel's right-wing Minister of Agriculture, Uri Ariel, to gain a political profit at the expense of the Palestinian people. Abu Arar pointed out in a statement that Israel has allocated funds for the development of the Arab villages in the Negev, yet these funds were used to serve the agendas of settlement institutions supported by Israeli government ministers, according to Quds Press. 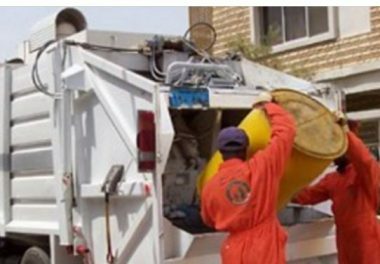 The Negev has recently witnessed a noticeable escalation in the demolition operations targeting Palestinian houses in a thinly veiled attempt by the Israeli authorities to settle the Palestinians in small residential communities and gradually remove them from the area. Beer Hadaj, which is inhabited by nearly 7,000 Palestinians, covers an area of 20,000 dunums. However, the Palestinians live on 6,000 dunums of the village only because the Israeli authorities are planning to confiscate the rest of the lands. About 240,000 Arabs live in the Negev desert. Nearly half of them live in villages and communities that were established hundreds of years ago. The Israeli authorities do not recognize these villages, refuse to provide them with the basic services and try by all means to force their residents to leave them. Israel’s legal adviser approved the expropriation of private Palestinian lands in favor of illegal settlement expansion, despite an earlier pledge to return the lands to their native owners after they were seized “by mistake”, according to Israeli news sources. 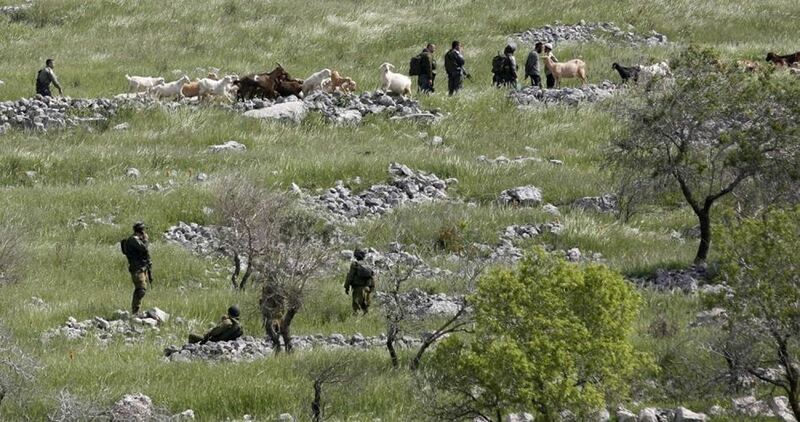 A Tuesday report by the Israeli daily Haaretz said the Israeli authorities are attempting to legalize the expropriation of some 45 dunums of privately owned Palestinian land located near Israel’s illegal West Bank settlement of Ofra, which were initially seized by mistake. Ironically, the targeted lands will be registered in the names of their Palestinian owners, but the latter will be robbed of their right to access the lands again. The land tracts would thus be de facto expropriated yet belong to their Palestinian owners de jure. 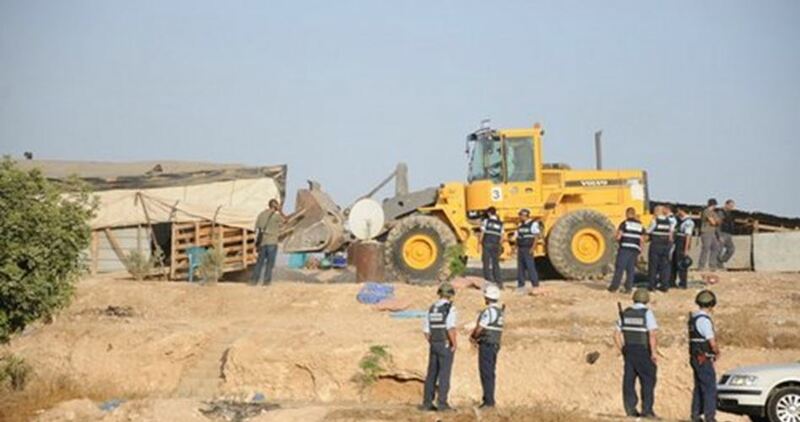 The Israel Lands Administration (ILA) issued, on Monday evening, new demolition orders against a number of Palestinian facilities in Negev, south of Israel, including a mosque. A state of tension has prevailed among local residents who protested against the demolition orders. Owners of the notified residential facilities declared in a joint statement their total rejection to the Israeli ongoing attempts to displace them from their homeland. 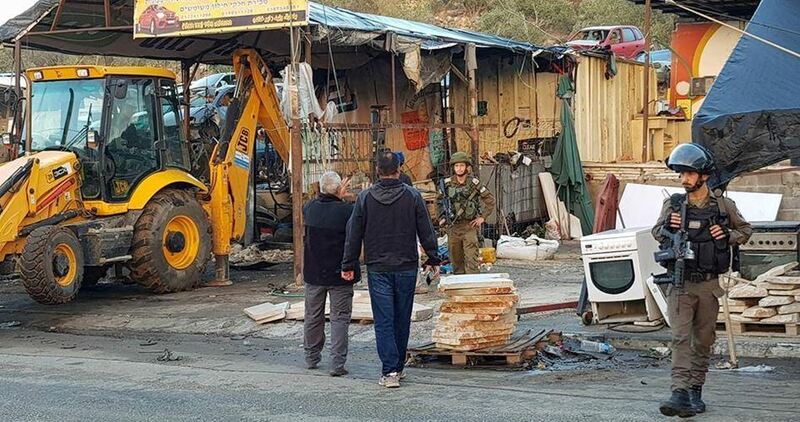 Israeli authorities issued, Monday morning, demolition orders against four Palestinian-owned facilities in Kakr Aqeb town, to the north of occupied Jerusalem. Local sources told Quds Press that four military patrols stormed the town and delivered demolition orders against four buildings for being built without Israeli municipal authorities’ permit. 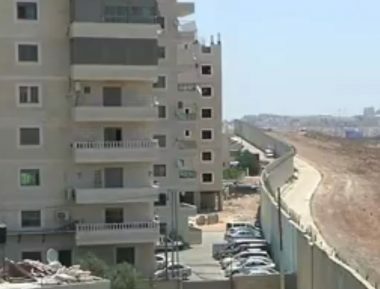 Kafr Aqeb’s mayor Imad Awad affirmed that the four orders are new ones issued against Palestinian buildings located in Area C.
Israeli media sources have earlier revealed a plan to demolish five residential buildings, with a total of 138 apartments, in the town. On Monday, dozens of Israeli soldiers, and border Police officers, in addition to engineers of the Jerusalem City Council, invaded Kafr ‘Aqab neighborhood, north of occupied East Jerusalem, and took measurements of six residential buildings in preparation for demolishing them. Ayman Romiyya, one of the residents of the neighborhood, said that the Army Corps of Engineers and the soldiers surrounded six residential building that received demolition orders, and took detailed measurements of them, and the surrounding area. The families received the demolition orders in September, while the Israeli High Court issued a ruling, ten days ago, giving the military and Jerusalem City Council the green light to level the buildings, and stating that the demolitions are to be carried out between mid-November and mid-December. The neighborhood is close to Qalandia terminal, and became isolated from the rest of occupied East Jerusalem after Israel built the illegal Annexation Wall, and now Israel intends to demolish the neighborhood, due to “its proximity to the wall, and for being built without a permit from the City Council,” although Israel’s wall isolated Kafr ‘Aqab from Jerusalem. Israeli soldiers abducted, on Monday at dawn, five Palestinians, including three children, from their homes in occupied East Jerusalem. 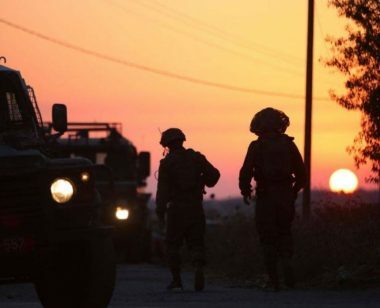 The soldiers invaded al-‘Isawiya town, in the center of Jerusalem, searched homes and abducted two children, identified as Nader Mazen Moheisin and Zaki Sultan Obeid. 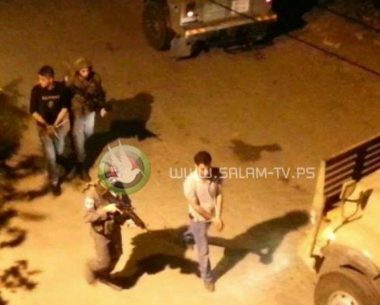 The soldiers also abducted a child from his home in Shu’fat refugee camp, in Jerusalem, and took him to an interrogation facility. Also, two young men were abducted by the soldiers near the military roadblock close to the main entrance of Shu’fat refugee camp. In addition, the soldiers invaded Hizma town, northeast of Jerusalem, and searched many homes while interrogating the families. 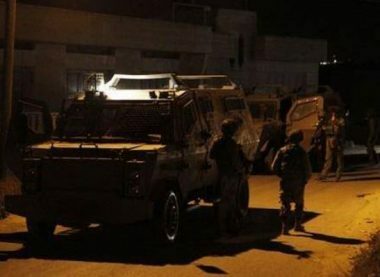 The soldiers also invaded the al-Matar neighborhood, near Qalandia terminal north of Jerusalem. The invasion terrified many families who feared that the soldiers were coming to demolish a local mosque and six residential towers, containing more than 140 apartments, as Israel has recently decided to demolish them due to “their proximity” to the Annexation Wall. The families are still appealing against the Israeli decision to demolish their residencies, and displace them. 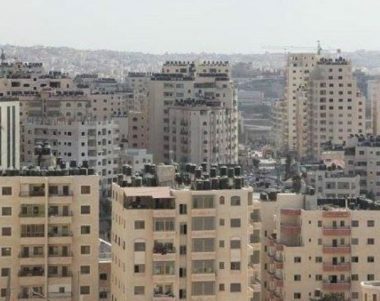 It is worth mentioning that thousands of Jerusalemite Palestinians have rented or purchased apartments in areas north of Jerusalem, such as Kafr Aqab, Qalandia, Samiramis and al-Matar, in addition to Shu’fat refugee camp, Ras Khamis, Salam neighborhood, and Ras Shehada, to prevent Israel from revoking their Jerusalem ID cards and residencies.